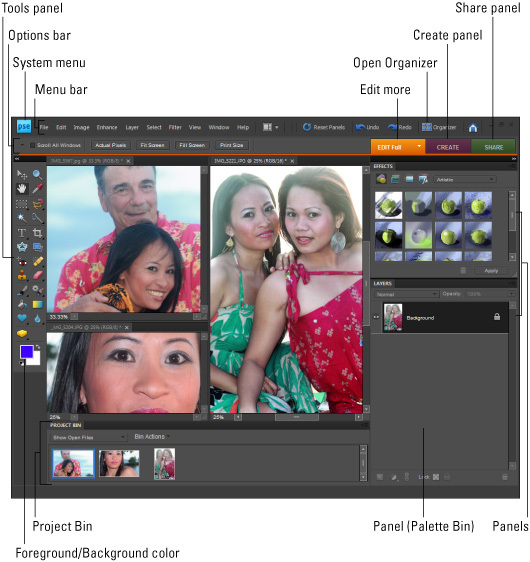 Photoshop Elements 8 enables you to create cool effects with your photos and create unique digital images. This Photoshop Elements 8 Cheat Sheet helps you get started with a quick tutorial on how to navigate the workspace. 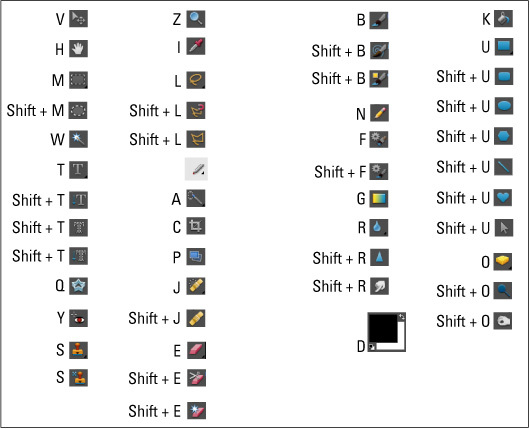 You also find a quick reference to the Toolbox (or Tools panel) keyboard shortcuts. As you become more familiar with Photoshop Elements 8, keep the handy table of selection techniques by your computer. Many of the cool Photoshop Elements effects begin with a good selection. 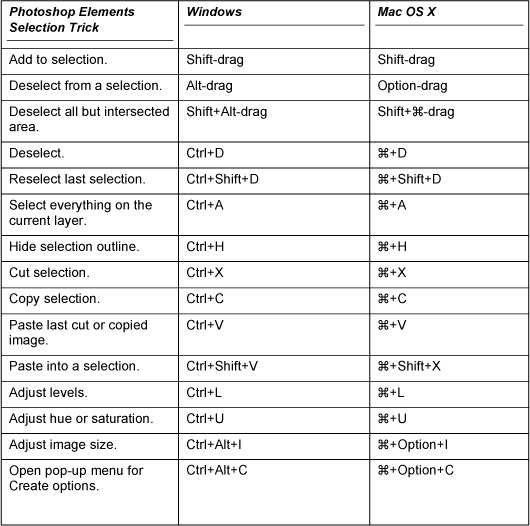 The following table offers handy how-to’s for the most common Photoshop Elements selection tricks (whether you use Windows or Mac OS X).